Brad Hogg said India would need to find balance going into the third Test to put Australia under pressure. He said both the teams might look to play a pace-bowling all-round at the MCG. Melbourne: Virat Kohli might have come under sharp criticism from various quarters for his on-field aggressive behaviour but former Australia spinner Brad Hogg Saturday defended the India captain, saying the visiting team derives energy from him. "Virat Kohli is the energy of this Indian team. He is their clear leader and they feed off him. You just see him on the field - his athleticism is different and he expects that from the Indian team," Hogg told PTI. "And what he expects from the team, he does as well, so it is not as if he is telling the team what to do without leading from the front. He is actually leading from the front and asking his teammates to follow him," he added. Talking about Kohli's batting, Hogg said: "As a batsman too, Kohli is on a different level to anyone else. Perhaps only Usman Khawaja came close, that too in the second innings where he batted with a lot of composure," said 47-year-old Hogg who played seven Tests between 1996 to 2008. "But even then, they don't have someone on the same level as Kohli. 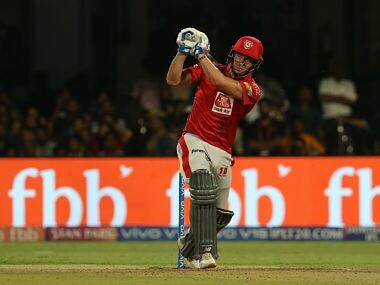 He is a different batsman to everybody else - he finds boundaries and rotates strike, and turns momentum of the game at will," he added. Hogg said India would need to find balance going into the third Test to put Australia under pressure. He said both the teams might look to play a pace-bowling all-round at the MCG. The four-match Test series is now levelled at 1-1, with India winning in Adelaide and Australia drawing level in Perth. Hogg said he hopes to see a close contest in the remaining two Tests. "I only really want a close series. We have had two close Test matches, and that's what we want. 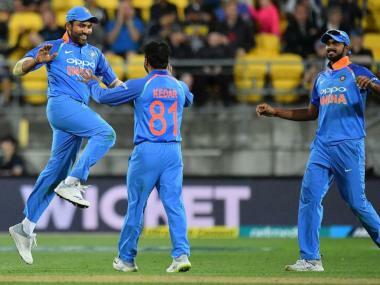 We want Australia tested on their home soil and they have been tested a couple of times previously by Indian teams coming here," said the left-arm spinner. "It will be interesting to see how India will balance their team going into the MCG Test. 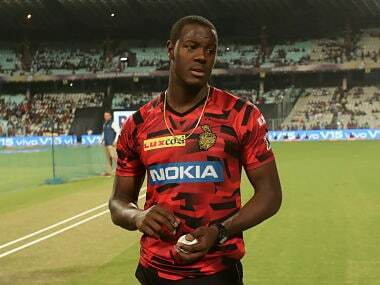 Both teams might look to play the extra bowler by picking the all-rounder and added to their bowling depth." Hogg heaped praise on Indian pacers and said it would be a huge opportunity for the visitors against a 'relatively weak' Australian side. "India have to be proud with the way their pacers have bowled in both Tests. They have been aggressive and won the first Test, and it was very important because it gave them energy and belief," he said. "This is a huge opportunity for India because of the relative weakness of the Australian team. So that adds pressure and it plays on back of their minds. 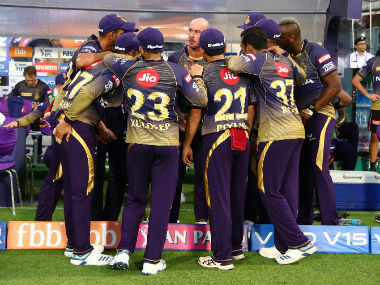 Perth tested this bowling attack's character and they showed true fight, but didn't score enough runs." 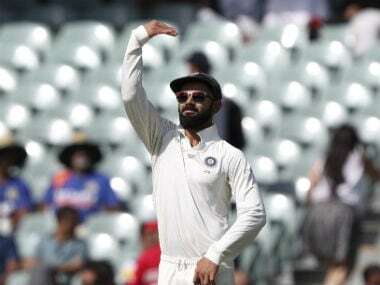 India also faced flak for not playing a spinner at the Perth pitch where Nathan Lyon scalped eight wickets, despite the wicket favouring the pacers. Hogg backed the decision saying in absence of injured Ravichandran Ashwin, India simply couldn't play Ravindra Jadeja or Kuldeep Yadav for a lack of aid from the pace-friendly pitch. "See, Ashwin wasn't fit and yes, they did have Jadeja and Kuldeep. I would have loved to see Kuldeep bowl on that track, but even Nathan Lyon didn't get too much turn," he said. 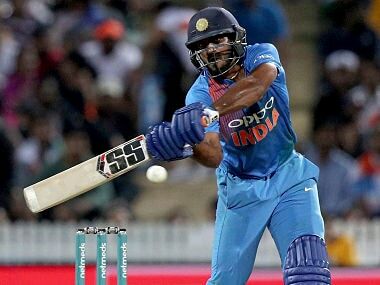 "As for Jadeja, he would have been spinning into a long left-handed Australian line-up so India probably had that point at the back of their mind. I suspect India might have made the right decision but it came down to the first hour on day one," he opined. Hogg said the Australian openers have made all the difference in the series so far for the home team, surely as compared to their Indian counterparts. "It was an enthralling Test match and India can be proud of how they fought. But the difference was in the opening partnerships. The way Marcus Harris and Aaron Finch added 112 runs, they made India chase the game from the first hour on day one," he said. "Indian pacers couldn't figure out line or length for the first two sessions and that's where this game got away from them. "It happens sometimes in Perth, when opposition teams arrive here. They can get carried away seeing the green grass or bounce, and are not able to adjust lengths. It gave Australia impetus and India never recovered from there," Hogg said.